The article was originally published on March 19, 2005. 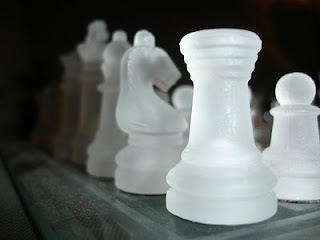 Though Kasparov probably has done the most of any person to promote the concept of computer-assisted chess competition, it should be noted that the concept was originally thought up by Vernor Vinge! It makes a notable appearence in his 1984 book, "The Peace War". Your answering machine doesn't talk, you do. Deep Blue didn't defeat Kasparov, its programmers did. Give Kasparov another such computer and he'd be invincible. The computational theory of mind is an incoherent philosphical disaster hypnotizing the entire 'AI' field with an impossible fantasy -- HAL9000, the newest embodiment of the genie myth. The inescapable brute fact is that dead things can't think and never will. Thinking computers are even less plausible than chimp ballet stars. At least the chimps can dance, however terribly. Just as AI having had zero accomplishments in 50 years only fires up the faithful even more, so too will the next 50 years of abject failure make no difference. Bad philosphy trumps facts every time. Kiss C3PO and the Singularity goodbye, just as you let go of Santa Claus when you reached the age of reason. Calculators and computers marvelously assist human thinking but will never produce it.